Much to the shock of those who gathered to see President Peter Mutharika in Thyolo during a whistle stop tour, Greselder Jeffrey, Secretary General of the Democratic Progressive Party, accused former First Lady Callista Mutharika of killing the late Bingu Wa Mutharika. Bingu Wa Mutharika died from a heart attack after he collapsed in the State House in April 2012 during his last term of office. He was pronounced dead on his arrival at Kamuzu Central Hospital leading to the takeover of Joyce Banda as the country’s 1st female president. Taking to the podium, Jeffrey shockingly proclaimed that, “Callista Mutharika is the one that killed President Bingu Wa Mutharika”. 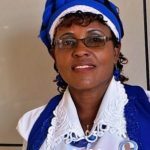 The DPP’s Secretary General has been widely criticized for her unsavory remarks with many sympathizing with Callista Mutharika pointing out the fact that a Commission of Inquiry had been instituted to find out what exactly happened and the findings are not even remotely close to what Jeffrey said during the rally. Already in campaign mode, Peter Mutharika continued his attack on those factions within his party that have been calling for Vice President Saulos Chilima to stand as the torch bearer for the party in the 2019 Presidential elections. “Mukapitiriza zimene mukupangazo, ndidzakufinyani, ndipo ndizakunyenyaninyenyani!”, charged Mutharika before saying that he refused to give money to Noel Masangwi, Patricia Kaliati and others who are championing the Chilima for President Campaign.